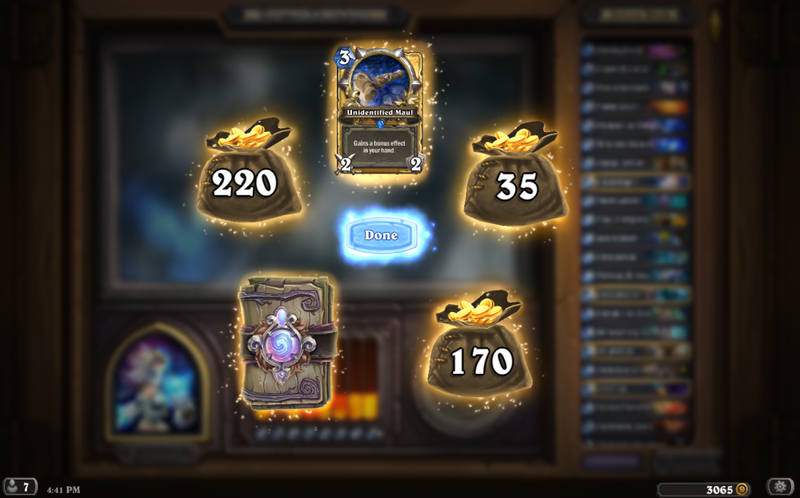 DJ won 12 rounds in Arena in Hearthstone for the first and thus far only time. Here is what he won for that. Not a bad haul.